Dream Kitchens & Baths in Crystal River Florida has been making dreams come true for many years. 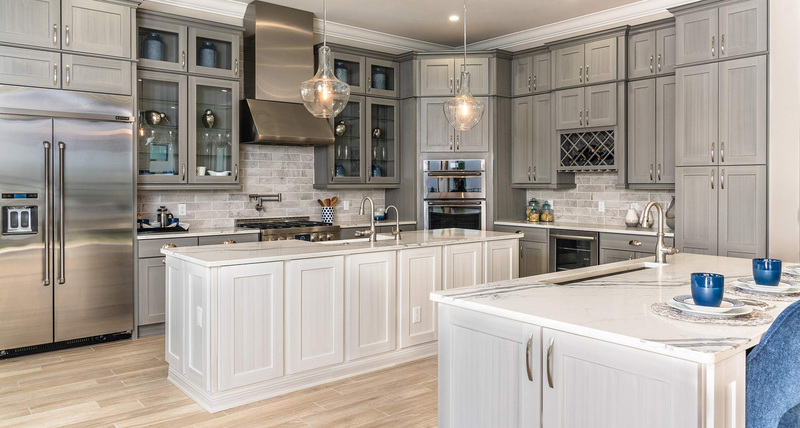 One of the most respected Kitchen and Bathroom remodeling companies in Citrus County, Dream Kitchens & Baths has performed many stunning makeovers. The testimonials from local residents illustrate just how satisfied they are with the results. Dream Kitchens and Baths does bathroom and kitchen remodeling in Crystal River, Pine Ridge, Citrus Hills, Sugarmill Woods, Inverness and beyond. The professionals at Dream Kitchens and Baths can help you with the design of your next remodeling project. They can help you select from hundreds of samples of quality products ranging from porcelain tile, ceramic tile, hardwood flooring, laminate flooring, shower wall tile, granite countertops, solid surface countertops in the bathroom as well as the kitchen. When it comes time for installation, prepare to be impressed by the knowledgeable and experienced, professional craftsmen that come with your cabinets, tile or countertops. Our installers go beyond what is expected, way beyond! You will not be sitting around waiting and wondering when they will show up. You will be informed of every detail and when delivery and installation will take place. Our crew of experts will not leave the job until your satisfaction and their level of expertise has been met. Contact Gary today to schedule your free in home consultation.